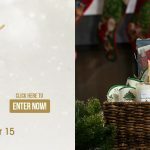 Enter the The View $5,000 Holiday Cash Sweepstakes starting on December 3, 2018 for your chance to win $5,000 cash. Visit The View’s website (abcnews.com/theview) or Facebook page (facebook.com/theview), click on the “THE VIEW’S HOLIDAY CASH SWEEPSTAKES” image/post, and complete and submit an entry form requiring the following information: first and last name, contact phone number, a valid email address and date of birth. Website entrants will be prompted to log into Facebook to link a Facebook profile with the entry. The View $5,000 Holiday Cash Sweepstakes is open only to legal residents of the 50 United States and the District of Columbia, who are 18 years of age or older (or the age of majority in the jurisdiction of their residence, whichever is older at time of entry). 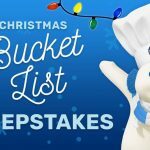 Begins at 11:00 AM ET on December 3, 2018 and ends at 11:59 PM ET on December 4, 2018. Entries are limited to one (1) entry per person per day. 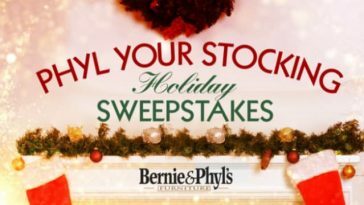 To enter now, visit https://woobox.com/id3zeg or see official rules for details.